It’s that time of the year again, the weather is cold, the wind is blowing and it seems like spring is years away. You start to feel the effects of the blustery weather, and your skin is one of the hardest hit. I will fully admit that I am one to neglect my skincare routine so I fall victim to this as much as anyone. It was a stroke of good fortune that just as I was noticing the state of my skin a little package arrived in the mail! 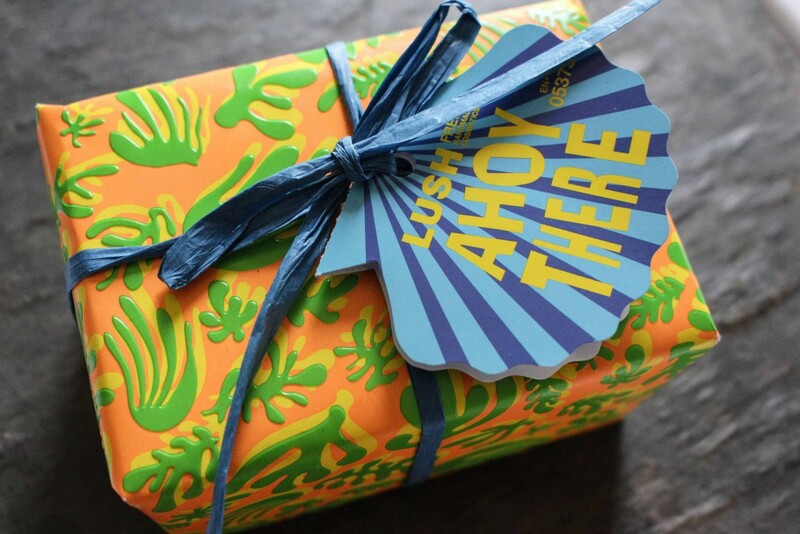 The perfect remedy for my winter skin had arrived with the LUSH Ahoy There gift set. 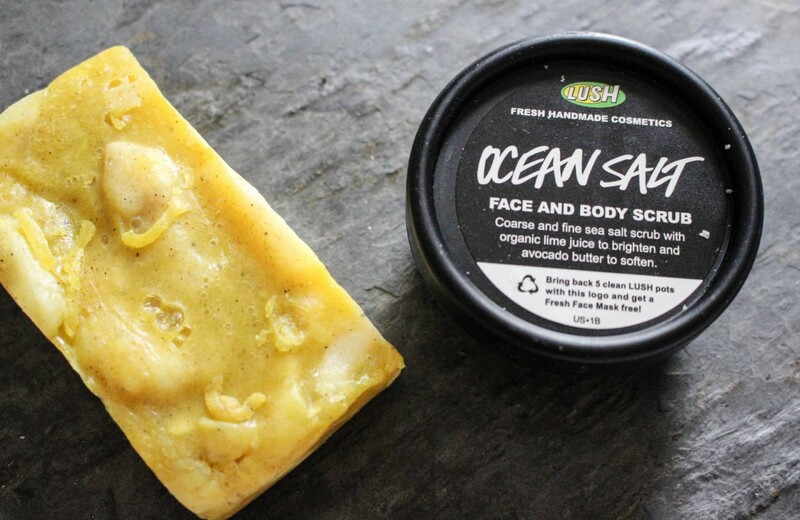 This gift set comes with a 2.4 oz trial of Ocean Salt face and body scrub and 3.5 oz Sandstone exfoliating soap. 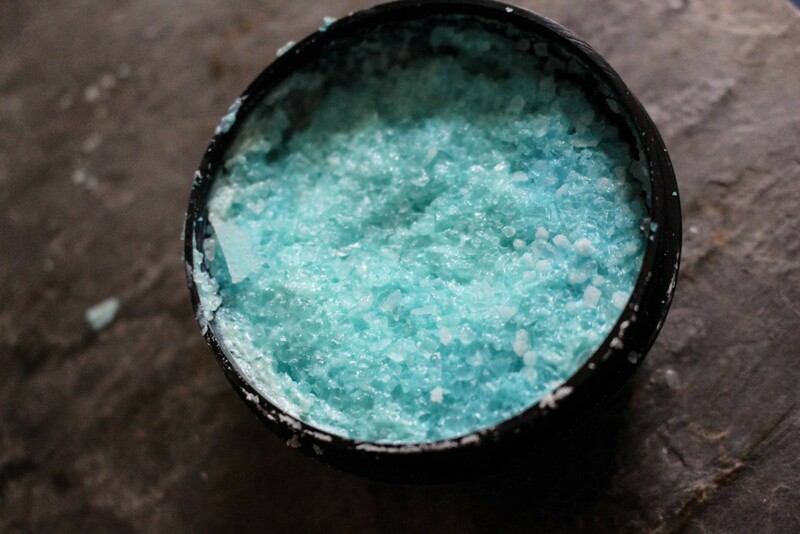 Lush describes Ocean Salt as a softening scrub, that cleanses and balances. I found it to be a very gentle scrub despite the large size of the granules. I have extremely sensitive skin so even the gentlest of scrubs can leave me feeling a bit roughed up and this scrub was not an issue. The scrub smells nice, I thought it smelled like citrus but my roommate swears it smells just like Fruit Loops. The one issue I had with this product is that it did settle in transit so I had to dig to get to the avocado butter and other conditioning elements. 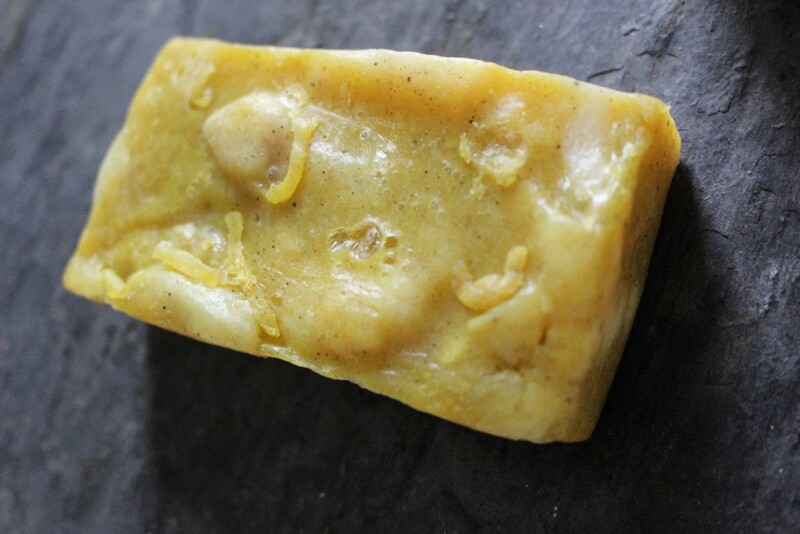 Sandstone soap is a mix of coriander and gardenia oils and actual sand. This soap smells absolutely amazing! In all seriousness I have been leaving it around my apartment to appreciate the scent. It has an amazing lemon smell that I am in love with! I haven’t wanted to use this on my face as I have heard that the sand can be a bit rough but so far I have had no issues so far. I hope this review has been helpful for you! Let me know if you have any go to skin saviors to combat winter skin blues – I’m sure I’ll be needing a few more to get me through until spring! Have a great day! Omggg these look perfect and i need them in my life rn pleaseeeeee argh they’re so gorgeous i already love them all and i haven’t even tried them! 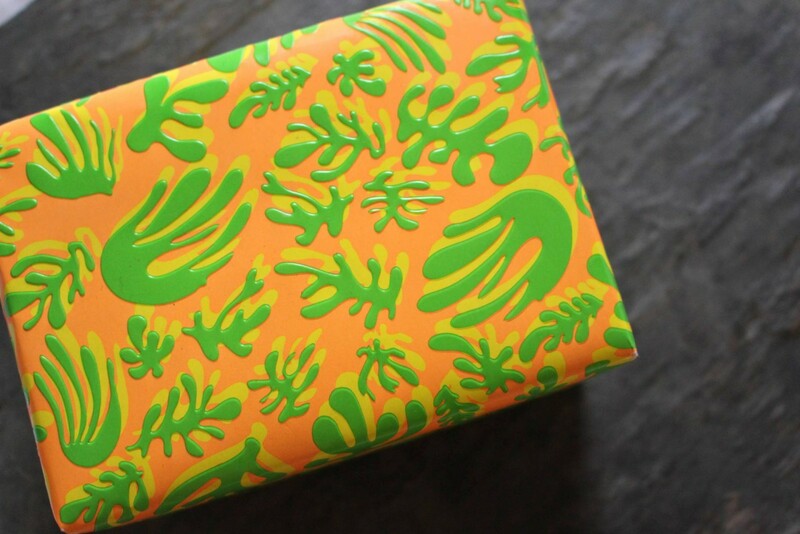 I just started getting into Lush products this year and these were a pleasant surprise! I’m really getting into using them both which it keeping my motivated to actually take care of my skin this winter!  Skype has established its internet-dependent customer beta towards the world, after introducing it largely within the U.S.
voice and video but, individuals require a connect-in installment).